Guest speaker Vince Menanno of Beezwax presented very interesting system architectures for optimizing WAN performance in FileMaker, with specific attention to situations where latency due to distance from the FileMaker server is a problem. He also showed several techniques to truly understand how FileMaker locks and commits record data. FileMaker typically locks a record as soon as a user enters a field and starts typing – this is called a pessimistic lock, and prevents other users from editing the record. The optimistic approach uses a different technique, where the edit happens in a copy of the field, such as in a Global field or even a local file (not hosted). When the user commits the record, a script is run on the server to find the record, make the change, and even provide extremely detailed logging of the event. The net effect is that the record edit is much faster because it is happening on the server. Vince also showed off some of the upcoming features from InspectorPro 7.0, the Beezwax FileMaker tool for advanced diagnostics, in-depth analysis, and visualizations of FM systems. This presentation sparked great discussion, and we were very glad he was able to speak with the FileMaker PDX group. 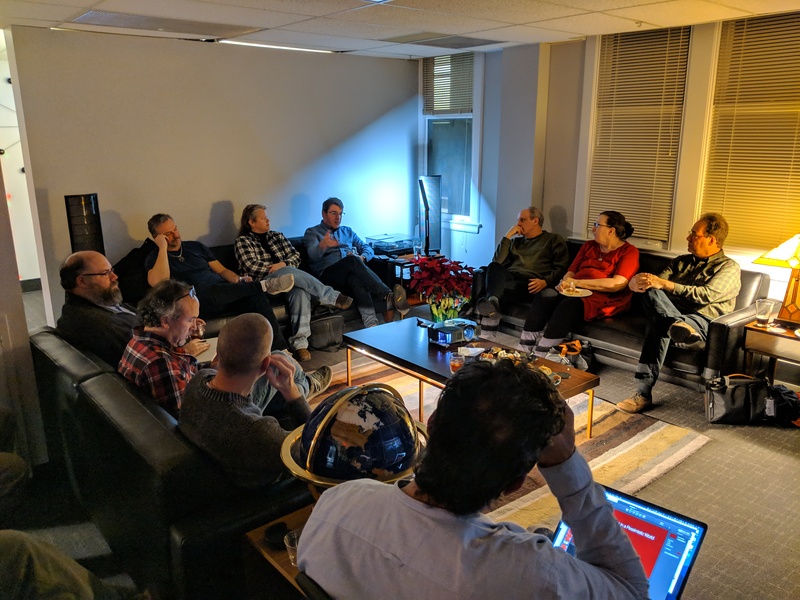 Please join us for our next Meetup on Tuesday, January 8th, 2019 which will feature a LiveCode presentation. LiveCode will be sending members of their team all the way from Scotland for a full West Coast FileMaker tour, and we would love to see you there!